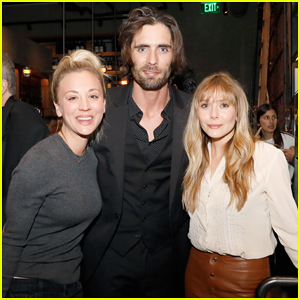 Elizabeth Olsen flashes a smile with Kaley Cuoco and Tyson Ritter while attending the EBMRF’s Sip. Savor. Support Benefit held at Wally’s Beverly Hills on Monday (November 12) in Beverly Hills, Calif. 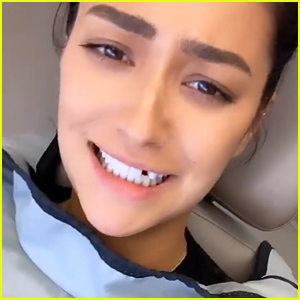 The 29-year-old Avengers star was also joined at the event by Kaley‘s husband Karl Cook, Tyson‘s wife Elena Satine and David Spade. EBMRF is a volunteer charity dedicated to raising awareness and funding a cure for Epidermolysis Bullosa (EB) a rare, genetic skin disorder. The day before, Kaley got all dolled up to host the 2018 Stand Up For Pits comedy benefit in Los Angeles with her hubby Karl by her side. Bella Heathcote and Jack Reynor are ready for the big premiere! The two stars were both in attendance at the premiere of Strange Angel at Avalon on Monday (June 4) in Hollywood. The stars were also joined by co-star Rupert Friend and his wife Aimee Mullins, Zack Pearlman, Keye Chen, Greg Wise, Elena Satine and Michael Gaston on the red carpet. The upcoming show is about a rocket scientist in 1940s Los Angeles who is secretly the disciple of occultist Aleister Crow. The show premieres on June 14 on CBS! FYI: Bella is wearing a Chanel dress and carrying a Chanel clutch, wearing Chanel fine jewelry and Loriblu heels. All-American Rejects' Tyson Ritter Marries Elena Satine!